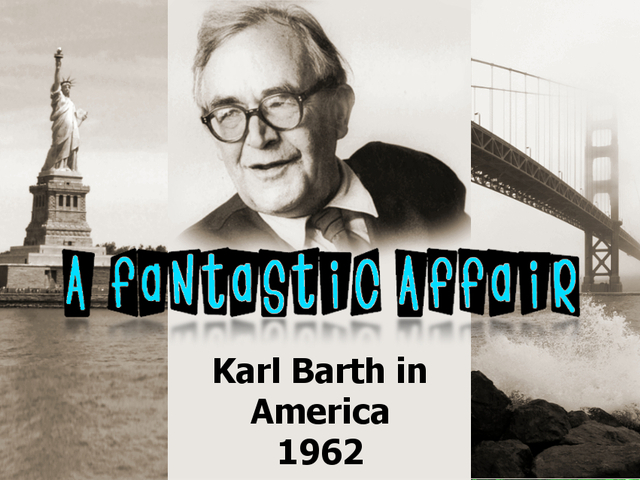 Karl Barth’s trip to America towards the end of his life is legendary. Legendary, because of its famous status among Barth fans, but also because of the largely fragmentary character of the accounts given of the trip. Jessica DeCou promises to rectify that latter predicament with her very exciting research project into that trip. Barth arrived at a tumultuous moment in American history and found himself embroiled in some of the nation’s fiercest conflicts: touring prisons and inner city neighborhoods and meeting with communist groups, State and Defense Department staff, civil rights activists, business leaders, and White House officials – just to name a few. The book, therefore, will not only shed light on Barth’s later life and work, but also provide a snapshot of American culture in the early ‘60s – from the highest levels of government to the tourist cultures built along with and alongside the developing Interstate Highway System; from Seminary campuses to high security prisons; from Napa Valley to East Harlem. Lots of interesting stuff. But there’s a problem. For those who might not know, Kickstarter is crowdsourcing website, where users can pledge money towards various projects needing money. It’s really cool for all parties involved. In addition to knowing that you have helped produce a really interesting book about a really interesting topic, Jessica DeCou will reward those who pledge with nifty little Barth related items depending on how much they are willing to part with. Read more about the project, see the rewards and pledge here.